You've done discount cruising, you've penny-pinched your way through family vacations and now you want a taste of the suite life. Or, maybe you are cruising for the first time and have discerning -- OK, expensive -- tastes. 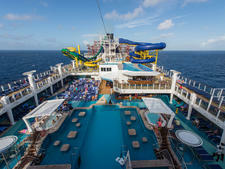 If you can afford a vacation budget of $500 per person per day, we can find you an amazing cruise. 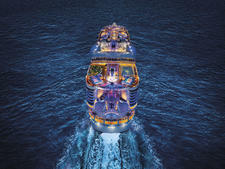 But you might have to choose between booking a top suite and sailing on a smaller, more luxurious ship. So we're all on the same page, we're talking about double occupancy rates of $500 per night, meaning two people to a room, so $1,000 per couple when you add it all up. A standard weeklong cruise at this rate would equate to $3,500 per person or $7,000 for two people. For this story, we have included taxes and fees where designated, but these exact amounts are not always available from the cruise line and might add a hundred or more to your bottom line. On most mainstream lines, the cruise fare excludes extras like drinks and gratuities, but many major cruise lines are now wrapping these amenities into added-perk promos or suite-class packages. Most luxury lines include drinks, tips and other services like transportation into their cruise fares. We examined more than 17 cruise lines spanning all categories to bring you the best sailings you can buy for $500 a day. (For the purposes of this article, we did not include river cruise lines.) At this budget, expect lavish suites on mainstream lines, outside or balcony cabins on premium lines or gorgeous yet entry-level cabins on all-inclusive cruise lines. You can take your pick of plush surroundings on choice itineraries. And, yes, even at this price point, some cruises and suite categories will still be out of reach. While you can cruise Disney from $500 per person, per day, don't expect much more than a cabin with a view, and only on select sailings. A late May Alaska cruise, round trip from Vancouver on Disney Wonder, starts at $3,404 per person (including taxes and fees) for an inside room, which already pushes the budget at $486 per day. An outside cabin would be over budget by about $60 per person, per day. You can grab ocean views on a four-night Western Caribbean sailing from Galveston in January, for $1,836 per person ($459 per person, per day). A balcony room is doable on a five-night Disney Magic sailing to Cozumel and Castaway Cay, sailing round trip from Miami at $2,390 per person or $478 per person, per day. Carnival Cruise Line's Carnival Journeys are the company's longest, most exotic itineraries, and you can sail any of them in a top suite from $500 a day. A 10-day Tampa to Panama Canal cruise is $2,855 per person, including taxes and fees (which totals about $286 per person, per day). Or, cruise two weeks in Hawaii from Los Angeles in October 2018 at $3,730 per person ($266 per person, per day). The only downside to such great pricing is that many of these highly sought after sailings are almost sold out. This includes the aforementioned trek to Hawaii, losing availability more than 21 months ahead of sail date. It bears keeping in mind that Carnival suites, while spacious and comfortable, won't include many of the amenities you'll find on other mainstream lines. The Haven Suite Complex on Norwegian Cruise Line is a private enclave accessible by keycard only. Passengers booked in these rooms have access to a private concierge, restaurant, lounge, bar, pool and sun deck. Norwegian also grants Haven passengers with nearly every perk on promotion, which can include packages ranging from free internet and gratuities to drinks and dining. It's a solid value for $500 a day, but we found that Haven pricing varied greatly from sailing to sailing. A nine-day "Baltic Capitals" cruise from Copenhagen, throughout August and September, comes in at just $500 per person, per day ($4,499 per person). In June, it's $4,699 per person; over budget at $522 per person, per day. For an 11-day British Isles cruise in late May, the fare jumps wildly from $5,099 per person for a regular suite to $15,499 per person for The Haven; that's almost triple the budget at $1,409 per person, per day. You can cruise in a suite on an Alaska itinerary (weeklong sailing in June, round trip from Seattle, for $3,349 per person), but priced out of The Haven by about $100 to $150 per person, per day. There is no Haven complex on Pride of America, but Norwegian Jewel is running a 10-day Vancouver to Hawaii itinerary in October from $230 per person, per day for a mini-suite (suites are already sold out). Pride of America weeklong sailings are affordable in a suite ($3,199 per person or $457 per day), depending on the time of year; this fare is for April 2017. 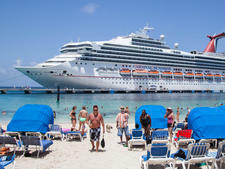 Prices can jump a thousand dollars in the summertime; the same pattern holds true for Caribbean sailings. MSC Cruises' ship-within-a-ship complex is called the MSC Yacht Club. Much like The Haven on Norwegian, it includes a private lounge, bar, restaurant, pool and sun deck, but it also includes drinks and butler service, standard. A Deluxe Suite on weeklong Meraviglia sailings in the Med, departing out of Marseille, costs about $2,000 per person during the summer months ($286 per person, per day). An eight-day Divina cruise to the Caribbean from Miami in a Yacht Club Deluxe Suite costs $1,820 per person ($228 per person, per day). It's just over $2,129 per person to sail in the same category room on MSC Seaside (debuting in December 2017) in January 2018 for eight days to the Caribbean and Bahamas ($266 per person, per day). Taxes and fees are additional. Many upper-category suites -- called Royal Suites on MSC -- are sold out for the summer sailings at least six months in advance. If you're looking for one of these premium cabins, book at least a year out. Royal Caribbean's Royal Suite Class, only available on Oasis- and Quantum-class cruise ships, gives VIP access to restaurants like Coastal Kitchen, a private sun deck and a butler called a Royal Genie in the top-tier Star Class Suites. Additional perks include free fitness classes, and complimentary Voom internet, beginning at the Sky Suite level. There are three levels of suites: Sea, Sky and Star. For $500 a day, you can sail in every category but Star Class. A Sky Class Crown Loft Suite on Oasis of the Seas on a weeklong cruise to the Western Caribbean in January 2017 is $3,158 per person, including taxes and fees. That's $451 per person, per day. For a seven-day Allure of the Seas sailing to the Eastern Caribbean, also in January, it's $3,252 per person for the same loft suite at $465 per person, per day; Star Class in a two-bedroom AquaTheater suite is $4,800 per person (including taxes and fees), in comparison. That's $686 per day. A seven-day Bahamas sailing from Cape Liberty on Anthem of the Seas in March costs $3,188 per person for a Sky Class Owner's Balcony Suite ($455 per person, per day). 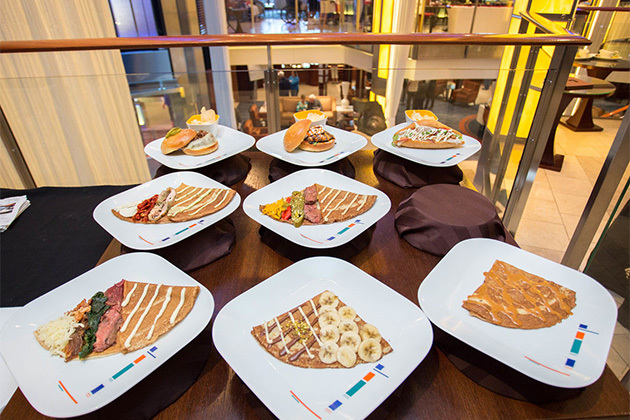 Celebrity Cruises' version of a Suite Class gives passengers perks including exclusive access to Luminae, a suite-only restaurant, and Michael's Club, a private lounge with complimentary drinks, specialty coffees and canapes. A Sky Suite is possible to book for $500 a day, but just barely. Two weeks on a Scandinavia and Russia cruise aboard Eclipse, from June to July 2017, is $6,979 per person for a Sky Suite ($499 per person, per day, and just within budget). The average price for an AquaClass room is about $2,500 per person for a week, or $357 per person, per day. 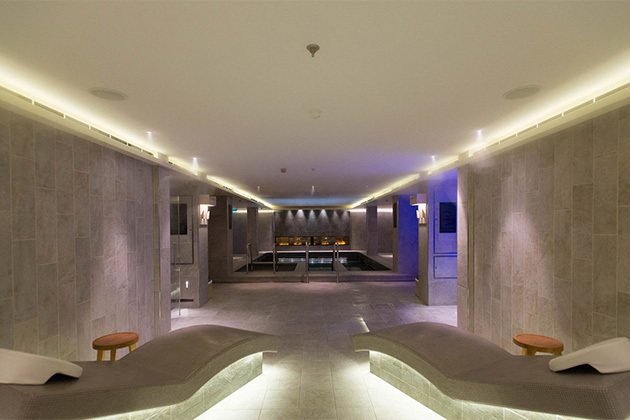 AquaClass rooms aren't considered suites, but they offer a few upgraded spa amenities. As for Europe, you can find a 10-day Italy and Spain voyage on Celebrity Constellation in May for $4,311 for a suite, including taxes and fees ($431 per person, per day). Alaska on Celebrity is pricy; a seven-day Alaska cruise in August on Millennium is about $3,600 per person, not including fees, for a Sky Suite ($514 per person, per day); $6,749 for Royal Suite; and $9,749 per person for a Penthouse Suite. 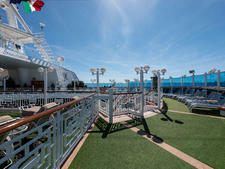 Princess doesn't have a designated suite class, even with a recent addition of high-end mini-suites called Club Class. However, there are perks included in booking a suite, and they are priority embarkation and debarkation, in-room canapes, specialty dining on the first night, ensuite breakfast, upgraded room service menu, elite lounge on select ships, upgraded cabin amenities and more. For the most part, suites on Princess land well within the $500-a-day range, but a few destinations demand more. On a Canada & New England cruise (11 days, 11 ports) departing October 5, 2018 on Royal Princess, you can book a mini-suite for $4,094 per person (including taxes and fees) -- $372 per person, per day -- but a full suite is $6,394 ($581 per person, per day). Seven days and six ports along Alaska's Inside Passage on Island Princess (from Vancouver in September 2017) is $2,764 for a suite ($395 per person, per day, factoring in taxes and fees). A 10-day Panama Canal cruise round trip from Fort Lauderdale on November 30, 2017, is $3,899 per person, with taxes and fees, for an aft Vista Suite (about $390 per person, per day). For a shorter cruise, a five-day getaway to the Eastern Caribbean from Fort Lauderdale in December is $1,594 per person for a suite ($319 per person, per day) including taxes and fees; a suite on a seven-day Eastern Caribbean cruise with a port call on Antigua from Fort Lauderdale on Regal Princess in late March is $2,519 -- with taxes and fees -- or $360 per person, per day. Like Princess, Holland America has suite perks but not an entirely dedicated class. Still, book the Neptune Suite, a top-tier suite on Holland, and fall within budget. Suites come with priority embarkation/debarkation and other priority access, daily in-suite breakfast service now with complimentary mimosas, free laundry services, canapes, upgraded bath amenities, dedicated lounge, tea service, a concierge plus corsages and boutonnieres on formal night and more. A weeklong Alaska cruise from Vancouver in late September 2017 on Nieuw Amsterdam runs $2,813 per person, including taxes and fees, for a Neptune Suite. That's $402 per person per day. A similar sailing onboard Eurodam in July is $3,749 per person from Seattle ($536 per person, per day), but a step-below Signature Suite is $3,069 per person, or $438 per day. A seven-day Eastern Caribbean cruise from Fort Lauderdale in January on Eurodam is $2,299 per person for a Neptune Suite ($328 per person, per day), but excluding taxes and fees. Eleven days in the Southern Caribbean on Koningsdam from Fort Lauderdale in March is $5,499 per person for a Signature Suite -- just hitting the mark at $500 per person, per day. A 30-day passage to Spain and Western Europe with about 15 port calls on Rotterdam in late March is $9,519 per person for a Neptune Suite -- still coming in under budget at $317 per person, per day. Grill Suites onboard Cunard gain you access to the exclusive Grills restaurant and lounge. Butler service and many of the ultra-luxe amenities can only be found in the Queens Grill rooms, but welcome Champagne, a concierge and afternoon tea are just some of the touches one can expect booked in any Cunard suite. A Princess Grill suite on a Queen Victoria 23-night Hawaii itinerary (Melbourne to San Francisco) is $11,290 per person; still under $500 a day at $491 per person. A balcony room is nearly half that, though: $5,790 per person or $252 per person, per day, including the taxes and fees. A Queens Grill on a transatlantic crossing, New York to Southampton aboard Queen Mary 2, is $6,000 per person for a week; for the same sailing, a Princess Grill cabin is $3,950 per person -- still out of budget at $564 per person, per day. However, balconies are in the range of $1,700 per person ($243 per person, per day). If length isn't a deciding factor, a world cruise round trip from New York, lasting 134 days on QM2, is $51,045 per person in a Club Balcony stateroom ($381 per day), including all taxes and fees. It cruises January to May in 2018. Azamara cruise fares encompass gratuities, drinks including specialty coffees and select spirits, shuttles, laundry rooms and a special event called an AzAmazing Evening (on most voyages). The line is known for its destination-immersive programming and overnight stays in port. Rooms are typically available for under $500 per day, but the cabin category will depend heavily on the itinerary. 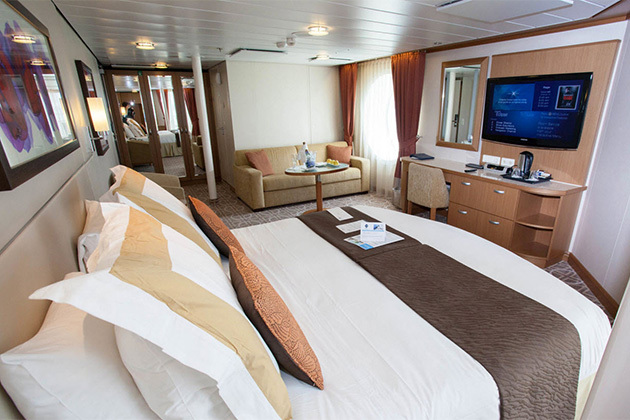 A room with a view or veranda is within reach, but a suite on Azamara is typically not. A Club Oceanview (outside cabin) on a seven-day Greek Isles sailing on Quest in June is $432 per person, per day ($3,021 per person, including taxes and fees). On a two-week trek of the Norwegian fjords, get onboard in an interior room for $6,667 per person (including taxes and fees), which is $476 per person, per day. On a 12-day Sea of Cortez voyage in February on Quest, sail from San Diego for $4,708 per person, including taxes and fees, in a Club Veranda cabin. That means you get a balcony room from $392 per person, per day. The oceangoing sister line to Viking River Cruises offers a small-ship experience like its peers. Fares include specialty dining; room service all day; one included shore excursion in each port; beer, wine and soft drinks at lunch and dinner; specialty coffees and bottled water; transfers; self-serve laundry rooms and complimentary use of a gorgeous spa and thermal suite. On Viking, taxes and fees are rolled into the cruise fare. Rooms are well appointed, and a cabin up to a Penthouse with balcony is an option on some sailings, but suites -- even junior suites -- are a tough find on any Viking Ocean itinerary at this budget. Buy a Penthouse Veranda cabin on an 11-day West Indies sailing round trip from San Juan with nine ports, in January, from $5,049 per person, or $459 per person, per day. A Penthouse Veranda on an eight-day January or "quiet season" Mediterranean cruise, Barcelona to Rome, can be purchased for $3,899 or $487 per person, per day. Watch seasonality: Some other sailings on the same itinerary at different times of year exceed the $500-per-day budget for the same room. A 15-day "Land of the Midnight Sun" sailing in June runs almost $100 more per day than other cruises in a Penthouse Veranda room. For this Northern Europe itinerary, sail from $490 per day ($7,349 per person) in a mid-category Deluxe Veranda stateroom. 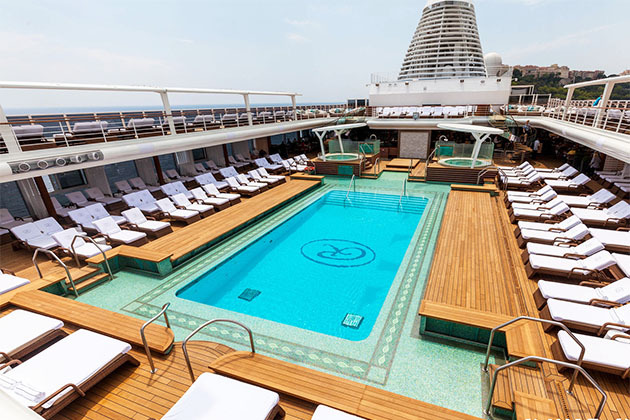 Oceania cruise fares include all specialty dining, internet, soft drinks and water replenished in your mini-fridge, specialty coffees, free room service all day, shuttle service in port and Bvlgari amenities in staterooms. Taxes and fees are included in Oceania cruise fares. Some surprising cabins can be found onboard for $500 per diem, but the deals and attainable stateroom levels are scattered. On a weeklong sailing of Oceania's Marina in peak season June, from Copenhagen to Stockholm, you could afford a Deluxe Ocean-View room (no balcony) for $3,399 ($486 per person, per day). On a seven-day May sailing to Alaska, Seattle to Vancouver, you could sail Regatta in a Concierge Level Veranda cabin from $3,149 per person ($450 per person, per day). We were amazed to find a Penthouse Suite in the highest category from $4,899 per person on an inaugural 10-day Cuba sailing aboard Marina in March 2017, which equates to $490 per person, per day. Only three suites are above this level, and subsequently double in price. Windstar is known for its small ships and yachts, but doesn't include the amenities of the higher-end luxury lines in your cruise fare. Many items, like drinks and laundry, are sold a la carte. A seven-day Windstar sailing from San Juan to Barbados, through the Caribbean during February on Star Legend, is definitely in your budget at $1,999 per person for an Ocean View Suite ($286 per person per day). However, the fare does not include taxes and fees, which could add another few hundred dollars to the total price. A Balcony Suite on the same sailing is $2,999 per person, which would be $428 per person per day; adding taxes and fees could push you over budget. Nine days in Morocco and the Canary Islands in April (Tenerife to Lisbon), on yacht Star Pride, runs from $2,899 for a Balcony Suite, not including taxes and fees, which means a fare starting at $322 per person, per day. Windstar only offers a handful of cabin categories on each vessel, including just a few suites, so narrowing down your options shouldn't be complicated. Regent offers an all-inclusive travel experience, and cruise fares cover room service, internet, specialty restaurants, a pre-cruise hotel stay, airfare, shore excursions, premium open bar, transfers, gratuities and more. Fares from Regent include government-issued taxes, fees and surcharges. It appears that the only voyages available on Regent for under $500 per day are the weeklong Caribbean sailings. An entry-level Deluxe Veranda Suite, for up to $3,399 per person, is under budget ($486 per day) on a Seven Seas Mariner Caribbean cruise round trip from Miami (departing in January). A weeklong Alaska sailing in May, Vancouver to Anchorage, starts at $4,499, which is over budget by $143 per person per day. Silversea cruise fares include butler service, gratuities, premium spirits and drinks, all dining (including room service and course-by-course dinner served ensuite), Bvlgari amenities and shuttles. 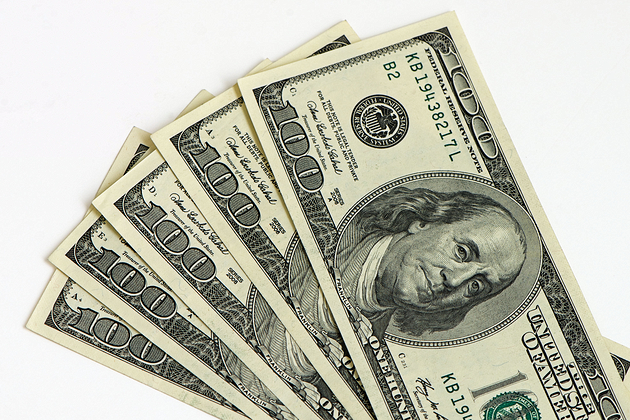 All taxes and fees are included in cruise fare pricing. While you'll primarily find entry-level cabins with ocean views only in this price range, they are nothing to scoff at, especially considering itineraries in exotic destinations like Africa. The variety of destinations offered with Silversea make these sailings a great value. We found a last-minute Caribbean cruise round trip from Bridgetown on Silver Spirit in December in an entry-level Vista Suite from $3,050 per person or $436 per person, per day. Farther afield, a 10-day February cruise on Silver Cloud to Africa and the Indian Ocean, round trip from Cape Town, is $4,450 for the Vista Suite, or $445 per person, per day. A 12-day Asia cruise on Silver Shadow from Singapore to Hong Kong will find you in a Veranda Suite (one step above the Vista, including a shared balcony but with the same square footage), from $5,445 per person, which works out to $454 per day. As with the luxury lines, gratuities, dining and open bar, among other amenities, are included on Seabourn. Entry-level suites are again what you'll be looking at to get onboard nearly any of the line's sailings, with the occasional bump up a level or two. A week in the Caribbean from Bridgetown to Philipsburg in April is $2,618 per person, including taxes and fees. That's $374 per person, per day, for the entry-level Ocean View Suite aboard Seabourn Odyssey. On a nearly four-week cruise through the Caribbean, you can land an entry-level suite, again on Odyssey, for $409 per person, per day ($11,048 per person total, including taxes and fees). Slightly over budget is an 11-day Alaska cruise from Vancouver to Seward in June, from $508 per person, per day ($5,591 per person, including taxes and fees). A 14-day sailing through China and the Philippines in January from Hong Kong to Singapore sells from $5,367 for a Veranda Suite, including taxes and fees, which is $383 per person, per day. Crystal includes gratuities, dining and drinks in its cruise fare. If you want to sail onboard, you might have to sacrifice a private balcony for a window. A week in Alaska, Whittier to Vancouver, in late June on Crystal Serenity is $3,019 per person including taxes and fees, or $431 per person, per day for a cabin with a large picture window. A six-day December cruise in the Caribbean from New Orleans to Curacao (on the same ship), is $1,890 per person, including taxes and fees, or $315 per person, per day. A 13-day September sailing round trip from Lisbon to the Med is $6,055 per person, including taxes and fees; still under $500 at $466 per person, per day onboard Crystal Symphony. Is There Anything I Can't Sail for $500 a Day? Expedition cruising is tough for $500 a day. 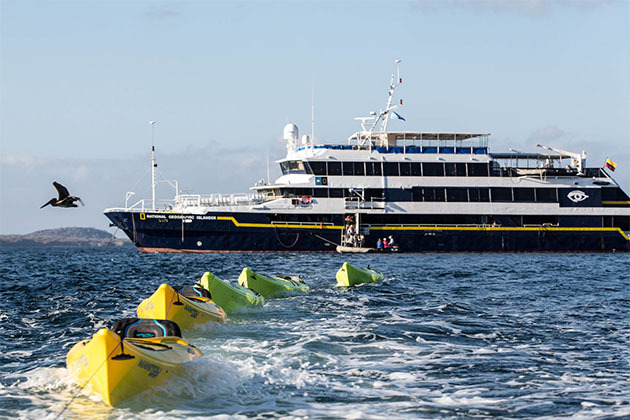 Most Lindblad Expeditions-National Geographic sailings to remote destinations like the Galapagos -- or even to Alaska -- start from more than $600 per person, per day. An ocean-view room on a weeklong Galapagos cruise on Celebrity Cruises' Xpedition starts around $700 per person, per day. Silversea's expedition branch starts at $1,164 per person, per day for a similar weeklong Galapagos sailing. You can take a seven-day Alaska voyage with Un-Cruise, but it won't be until late September in the chilly offseason, and prices start from $449 per person, per day (with taxes and fees included).